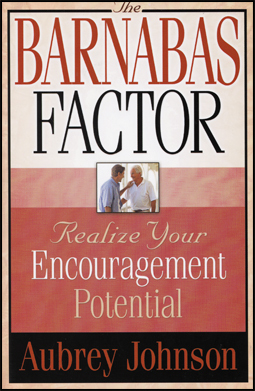 For a limited time (through 11/9/2013), The Barnabas Factor: Realize Your Encouragement Potential is available from the Gospel Advocate online store for only $5.99 (Reg $8.99). Simply enter the promo code (P006) at checkout to receive this special offer (applies to first 50 redemptions). Everyone can be an encourager – and that includes you! God has already given you everything you need to be an encourager. All you have to do is put to use those abilities you already have. You probably know about the biblical character Barnabas, the Son of Encouragement. But did you know that his given name as Joses (Acts 4:36-37)? Barnabas was a name the apostles gave him because of the great encouragement he provided to others.